Piranha Fitness Studio located in College Station, TX combines fitness classes such as Piranha, Burn, Strike, HIIT-IT, Inspiranha, TRX, and Power Training in a fun, energetic way that not only helps to shed extra pounds but also allows its members to ease stress and enjoy the company of the like-minded enthusiasts. Pulse Solutions had the opportunity to work earlier with Piranha Fitness Studio as their website development partner. Piranha Fitness approached Pulse Solutions to design a paperless system for managing and archiving tons of paperwork which was becoming a growing business concern. With the rising numbers of gym memberships, a better system was needed to achieve enhanced transparency with the employees and members of the studio for handling daily activities and maintaining information about members, trainers, sessions, and all its products. There was a need to streamline and automate the business system processes for a smoother flow of information and in-depth insights on the profitability and overall performance of the enterprise. 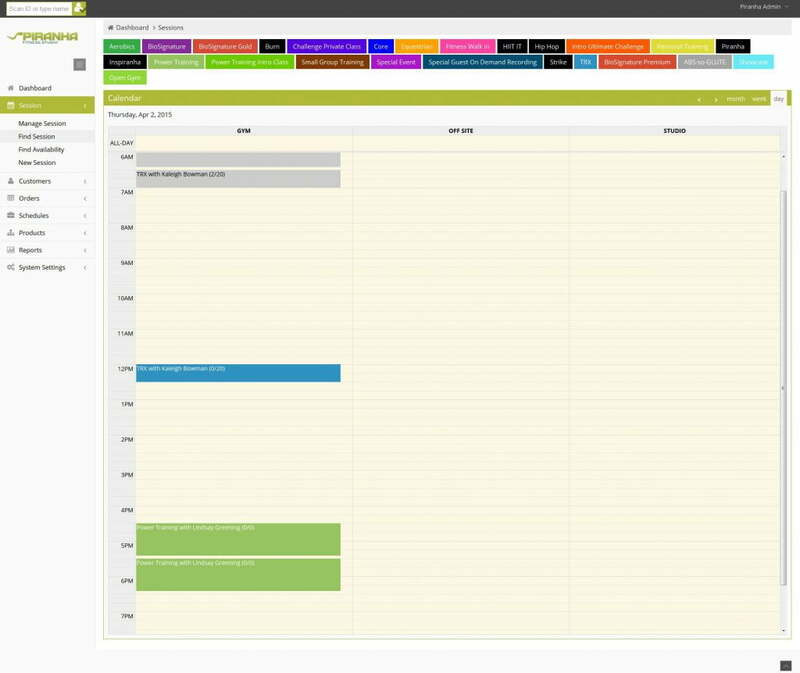 After the review of the requirements of the client, and brainstorming the database development, Pulse Solutions proposed an automated admin system, to help organize the member’s data, class schedules, billing, sales reports, balances on memberships and packages, and make scheduling and planning of daily activities easier for the client. The system was designed with the Core PHP 5.3 and Codeigniter Framework technologies for adding simplicity to the entire automation system. 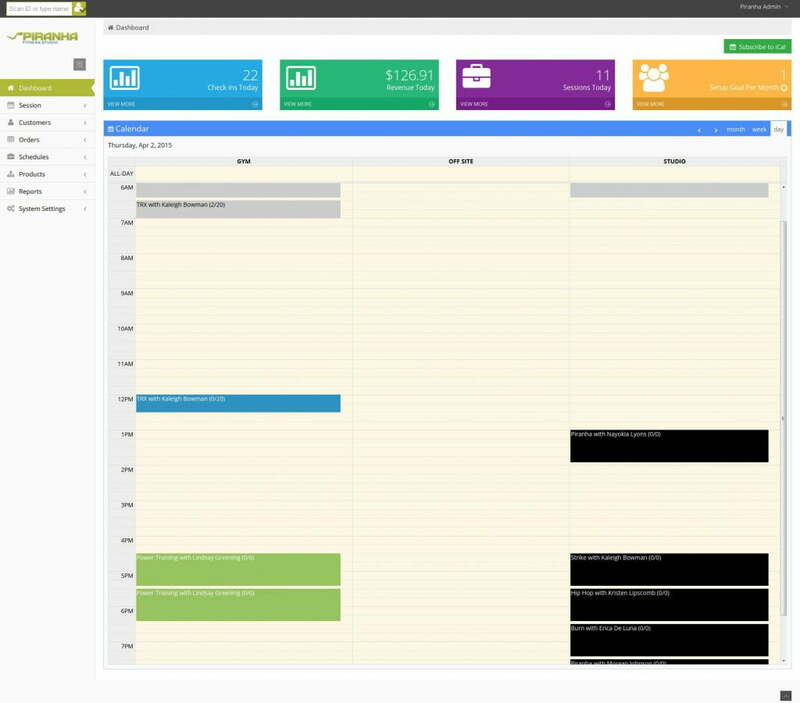 Calendar: It features all the scheduled classes, employee availability, holidays for the current month, check-ins, revenue flow, and a list of sessions in three different styles via month, week, and day view. Employee scheduling: Helps to input vital personal information about employees, availability of employees, and also helps to streamline the process of timesheet management by monitoring check-ins and checkouts of the employees. Member Information: Creating better database of members by allowing input for important stats about the members such as address, payment, membership details, scheduled sessions, refund amounts, and more. Also, integrated fields such as notes and allergies help to provide better service to customers. Session process: The automated system allows the admin to buy sessions, products, or membership for selected members, reserve session class for members, or even cancel membership. Staff Resources: Allows employees to check schedules, control class sizes, enter last-minute substitutions, create new classes or reschedule classes. Scheduling: Daily calendar to schedule personal trainers, rooms, and sessions for better management. Reports: Comprehensive reports for monitoring transactions of the day, membership renewals or sales, payment made by customers, customer summary via check-in history, login details, and attendance for the period, and employee reports. Implementing an automated system has allowed Piranha Fitness Studio to expand and optimize their services and improve customer satisfaction. Through the system, not only did Pulse Solutions make a significant difference in the profitability of the client, but also enabled the client to overcome the hassles of managing operations of the studio. The automated software has additionally saved valuable time for employees in managing day-to-day affairs of the gym and has allowed the management to focus on the core activities.